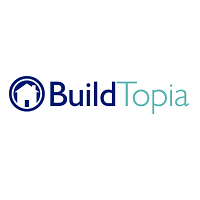 Markham, ON, June 25, 2010 –Constellation HomeBuilder Systems (“CHS”) has acquired the assets of BuildTopia of Rockville, Maryland, a web-based construction management software solution for residential home builders. This acquisition is another example of Constellation’s dedication to the home building industry and its long term approach to providing mission critical technology solutions and services for home builders of all sizes. “We continue to invest in new products and services and maintain our long-term commitment to the home building industry”, says Dexter Salna, President of Constellation HomeBuilder Systems. As the largest software company dedicated to the homebuilding industry, Constellation continues to provide excellent support and services to help our customers successfully run their business now and in the future. We welcome the customers and employees of BuildTopia to the Constellation family. Constellation’s suite of homebuilding solutions include Software as a Service (SaaS) and hosting alternatives, in addition to solutions that builders can install on their own hardware. In many cases, builders are choosing SaaS and hosting alternatives to get started quickly and avoid the upfront costs associated with purchasing hardware. In addition to our fully integrated sales, production, accounting, and warranty solutions, Constellation also provides quick-start home builder websites with built-in best practices for online marketing, search engine optimization (SEO), and security.